I mean to treat this point of vocation or calling — considering that few men rightly know how to live and go on in their callings, so as they may please God. Therefore to proceed in order in speaking about this point, First I will show what Vocation or Calling is. Secondly I will set down the parts and kinds of it. Thirdly, the holy and lawful use of every man’s particular calling; all of which are in some sort touched on in the words of my text. 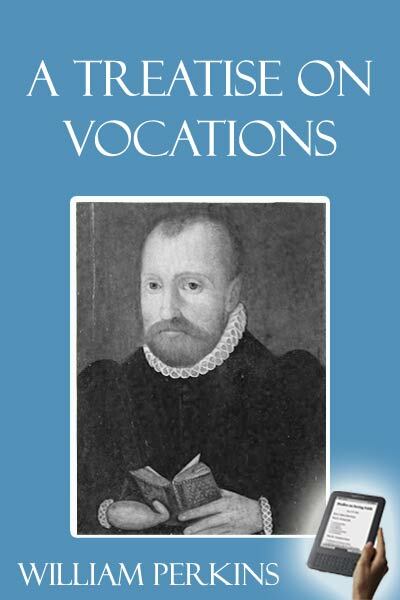 A vocation or calling is a certain kind of life, ordained and imposed on man by God, for the common good. First of all I say, it is a certain condition or kind of life: that is, a certain manner of leading our lives in this world. For example, the life of a king is to spend his time in the governing of his subjects, and that is his calling; and the life of a subject is to live in obedience to the Magistrate, and that is his calling. The state and condition of a Minister is to lead his life in preaching the Gospel and word of God, and that is his calling. A master of a family is to lead his life in the government of his family, and that is his calling. In a word, that particular and honest manner of conversation3 to which every man is called and set apart, that is (I say) his calling. Now, in every calling we must consider two causes. First, the efficient and author of it. Secondly, the final and proper end of it. The author of every calling is God Himself; and therefore Paul says, “As God has called every man, let him walk,” verse 17. And for this reason, this order and manner of living in this world is called aVocation, because every man is to live as he is called by God. For look as it is in the military camp: the General appoints to every man his place and standing; one place for the horseman and another for the footman; and to every particular soldier likewise: his office and standing in which he is to abide against the enemy, and to live and die in that place — it is even so in human societies. God is the General, appointing to every man his particular calling, and as it were, his standing. And in that calling He assigns to him his particular office; in performance of this office he is to live and die. And just as in a camp, no soldier can depart his standing without the leave of the General, nor more may any man leave his calling unless he receives liberty from God. Again, in a clock, made by the art and handiwork of man, there are many wheels, and every one has its several motions — some turn this way, some that way, some go softly, some apace — they are all ordered by the motion of the watch. Behold here a notable resemblance to God’s special providence over mankind, which is the watch of the great world, allotting to every man his motion and calling; and in that calling, his particular office and function. Therefore what I say is true, that God Himself is the author and beginning of callings. 1Cor. 7.20 Let every man abide in that calling, in which he was called. 3. Good continuance in a calling. I. The works of our calling must have three qualifications. 3. The third condition of our actions is that they must be necessary. II. The works of our calling must be done in a particular manner. 2. To do a work in Constancy. 4. Good ending of a calling. 1. The Resigning of a calling. A. The timing of it. B. The manner of it. 2. The Accounting of a calling. I. Presenting all persons before the tribunal of Christ. II. Manifesting all the works they have done. IV. Giving according to each man’s works. Preparing to make a good account. First, we must draw up the bill of our receipts and expenses.